HeBrews: A Better Blend, by Leah Adams, is a Bible study of the book of Hebrews that teaches from the Old and New Testaments, showing how the writer of Hebrews blended a mixture of Old Covenant theology with Jesus and the New Covenant that began with his crucifixion and resurrection. The theme of the study focuses on better things, with faith in Jesus being the focal point of all things better. 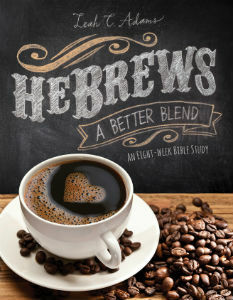 HeBrews: A Better Blend is written as an eight-week study with five days of lessons for each week. The study covers the entire New Testament book of Hebrews with cross-references to additional Old and New Testament passages. The book is well suited for a group study or can be completed individually. Each week begins with a recipe for a dessert and a suggestion for a coffee blend to accompany it. In the devotional book Radically Red, author Brooke Keith invites readers to more closely examine the words of Jesus, which are sometimes overlooked because of their familiarity. 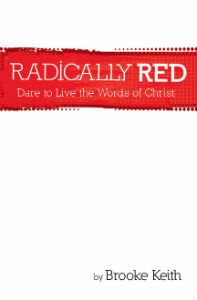 Radically Red challenges readers to draw closer to Jesus and allow his love to change their lives. Radically Red is written in a forty-day devotional format, with each day beginning with verses of scripture attributed to Jesus. A devotional for the day expands on the verses. Each day also includes several thought-starters and a Daily Dare that challenges readers to put into practice what they have just studied. The forty days of devotions can be read on consecutive days or at the reader’s own pace, and the book can be completed individually or as part of a group study. 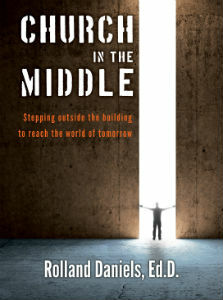 Author Rolland Daniels challenges churches to reexamine their approaches to ministry for the sake of future generations in the leadership book Church in the Middle. Rapid changes in society in the United States are causing some approaches to ministry to become ineffective. The book contends that an attractional approach, where churches rely on people to come to them to be introduced to Jesus, isn’t going to be enough. Instead, congregations will be most effective in reac hing coming generations when they work outside of their buildings and engage people as Jesus did, in servanthood, compassion, and love. The book is designed for the “church in the middle”—the church that is caught between operating with an attractional approach to ministry and a desire to get outside its walls and engage the community missionally. Church in the Middle identifies the challenges facing all churches, provides tools for pastors and leaders to assess the present practices at their churches, and helps them create and implement new ways for their churches to build relationships with their communities. Warner Press’ Tree 1:3 Ministry Resources imprint publishes ministry resources designed to help people grow more deeply in their faith and derives its name from Psalm 1:3—“He shall be like a tree planted by the rivers of water, that brings forth its fruit in its season, whose leaf also shall not wither; and whatever he does shall prosper” (NKJV). These resources promote spiritual formation through Bible study, reflection, and prayer, and encourage believers to become authentic spiritual leaders in their faith communities. HeBrews: A Better Blend (ISBN: 978-1-59317-737-9) and Radically Red (ISBN: 978-1-59317-736-2) are currently available. Church in the Middle will be released on August 1, 2014. These titles will be available at retailers nationwide and online. For more information about the books and their authors, visit www.warnerpress.org. Warner Press is a not-for-profit organization of the Church of God (Anderson, Indiana) that publishes and distributes Christian products, including ministry resources, church supplies, kids’ books, and greeting cards that equip churches for ministry and encourage individual spiritual growth. For more than 130 years, Warner Press has been sharing the gospel of Jesus Christ and serving the Christian community worldwide. This entry was posted in All Church of God and tagged books, Brooke Keith, Church in the Middle, HeBrews A Better Blend, Leah Adams, Radically Red, Rolland Daniels, Warner Press. Bookmark the permalink.